After her incredible performance in the film Padmaavat in 2018, the leggy lass is back with another flick and this time it is her own venture that comes in the form of Chhapaak. We know she has been busy shooting on the streets of Delhi and then someone clicked the photo of Deepika and Vikrant Massey on the streets to give the latest about the film. She is playing Malti who happens to be an acid attack survivor and the character inspired by Laxmi Agarwal. She has first released the first look poster of the film playing the character called Malti from the movie, and it has got good reviews from all corners of the country. The film also has Vikram Massey in it who plays the negative role of the man who is behind giving the face a bad look with the acid. Currently, the two are in Delhi and was seen shooting for the film. The video was also seen going viral on the social media about the lady and the man on the web shooting on the streets of Delhi. 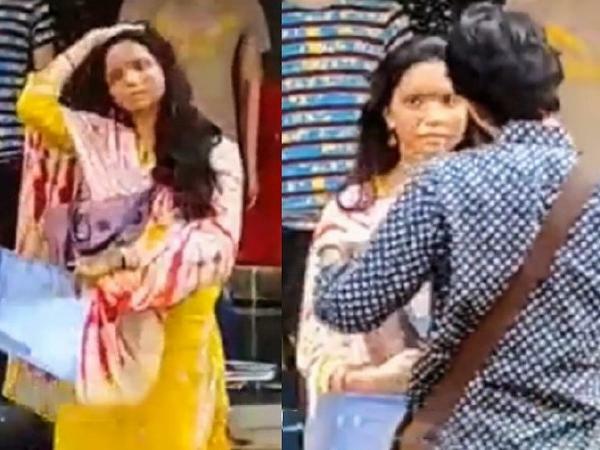 The images released and the video leaked states how both Deepika and Vikrant are seen moving on the streets of Delhi and they stop at one place. Vikrant is seen in yellow Kurta and white salwar, while Deepika is waiting for him. When he is seen returning the two talk, and the lady is seen a bit shocked as to what he says. Talking about the film, Deepika has said earlier that she was inspired by the story of the girl who lives the life with the victory, hope and courage and that made her choose the film. Not only that, she went on to be its producer, while Meghna Gulzar is the director of the film.